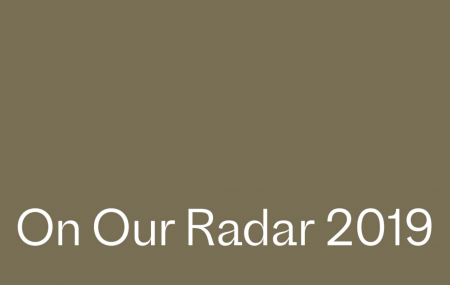 On Our Radar 2019 features noteworthy projects in all disciplines that advanced to the final round in the competitive selection process for the Creative Capital Award. During each award cycle, Creative Capital has the great privilege of learning about a wealth of exciting artists’ projects. By promoting projects “on our radar” to our community of people who are passionate about the arts, we can forge connections that lead to new support and collaborative opportunities. 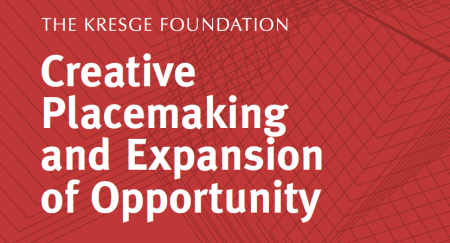 This paper examines critical needs or opportunities to help the Creative Placemaking field continue taking root in community planning, and to better contribute to expanded opportunity and equity in low-income communities. Several years into the advancement of Creative Placemaking, the language and general premise are taking hold. The term is now widespread in the arts and culture field, and increasingly in community development and urban planning. Yet critical gaps in the field must be addressed if Creative Placemaking is to flourish and be an integral part of community development. Reading Room: What is Research? Because faculty and students have so many wide-ranging experiences, academic trajectories, and disciplinary backgrounds, they don’t necessarily have the same set of concepts in mind when it comes to talking about research, what it means, or how it’s done. For many, “research” is an abstract, culturally constructed concept. With many different definitions and experiences, it can be critical to build a shared foundation for understanding — especially when issues of “what counts” as knowledge, tenure and promotion, and research process are at stake. Efforts to integrate arts and culture into the water sector have been sparse to date. But there are some exciting examples of how water and wastewater utilities, conservation organizations, and water reliant businesses—including US Water Alliance members—are making invisible water systems visible, engaging and educating the public in new ways, taking a creative approach to planning, and transforming communities through art. 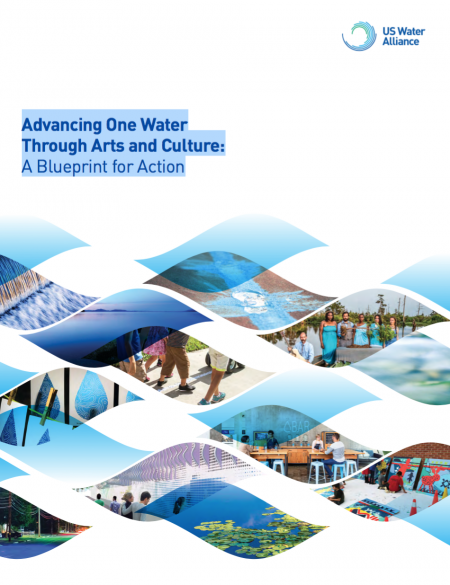 To accelerate these innovative and promising efforts, the US Water Alliance partnered with ArtPlace America to catalogue the best and brightest models and partnerships that are utilizing arts and culture to advance sustainable, integrated and equitable water management. 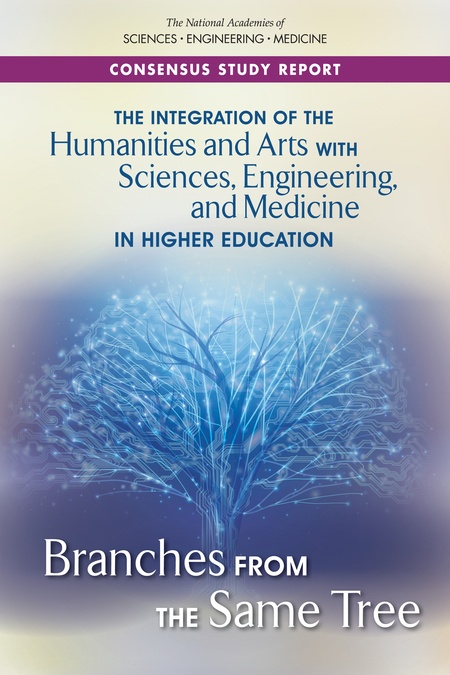 The Integration of the Humanities and Arts with Sciences, Engineering, and Medicine in Higher Education examines the evidence behind the assertion that educational programs that mutually integrate learning experiences in the humanities and arts with science, technology, engineering, mathematics, and medicine (STEMM) lead to improved educational and career outcomes for undergraduate and graduate students. It explores evidence regarding the value of integrating more STEMM curricula and labs into the academic programs of students majoring in the humanities and arts and evidence regarding the value of integrating curricula and experiences in the arts and humanities into college and university STEMM education programs. Through interviews with sixteen leaders of public arts funders and united arts funds, Recalculating the Formula for Success: Public Arts Funders and United Arts Funds Reshape Strategies for the Twenty-First Century documents the new ways that these funders are approaching their work, rethinking longtime practices, and adapting to changing environments.